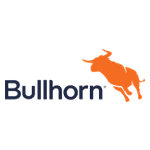 Sixty percent of recruiters think regulators won’t strongly enforce the terms of the General Data Protection Regulation (GDPR), according to a new survey conducted by Bullhorn, the cloud computing company that helps staffing and recruiting organisations transform their businesses. Seventy-three percent said they have seen no impact on the way they use recruitment technology and software four months on from the introduction of GDPR, while a similar number (71%) said it hasn’t affected their ability to engage with candidates and clients. Of the 100 recruitment professionals surveyed, the majority (79%) of recruiters agreed that GDPR won’t have a negative impact on the industry in the long-term. However, when asked about preparation for GDPR, over half (53%) of recruiters said they had enough training and support at an individual level, while nearly three quarters (73%) claimed that their company was timely and efficient in carrying out its compliance plan. The survey of 100 recruitment professionals was taken in August 2018. For further information on the findings, please contact TopLine Comms.